Options For Adding Natural Scents to Your Home. Commonly, if someone wants to add a fresh scent to a room of their home, they think of a synthetic air freshener from the grocery store. However, if you are thinking about this for the purpose of selling your home, this can be dangerous. Increasingly there are more and more people that cannot tolerate synthetic perfumes--and if you have used one in your home, a potential buyer that is sensitive to these types of scents may not be able to get past the front entrance, or if they do, will almost for sure be turned off the home as they develop a headache or feel nauseous. That being said, adding scent does allow you to stage your home on another level, and can be a powerful way to influence potential buyers so we don't want to ignore it completely just because the synthetic smells don't work for some buyers. The first part of controlling the scent in your home is pretty obvious--make sure there are no negative scents. Empty every garbage can every single day, make sure the laundry hamper is emptied of dirty clothes, make sure the appliances are clean inside and out (especially front-loading washers which can develop a mildew smell that you may be used to but will be offensive to a potential buyer), and use natural/unscented cleaning products. A clean house smells best! I also really like to open the windows wide & let in fresh air--yes, even in winter. You won't freeze to death from 15 mins of open windows, and if you do it enough in advance of your showings, then the house will have plenty of time to warm back up. My favourite way of adding a mild scent to the home is an essential oil diffuser or room spray. Apart from the lovely smell, essential oils actually have many health benefits as well. For example, peppermint oil has been know to reduce stress, tension and headaches. While lavender oil is believed to have antiseptic and anti-inflammatory properties, it is also thought to be a great way to relieve anxiety and depression. All of these are exactly the emotions you want potential buyers to feel when they are in your home. A great place to purchase these items, and get great advice about their use--ie how much will be just right and how much will be too much--is Sage. My last recommendation I have for adding a nice scent to your home is probably the simplest one. Buy some flowers--there's nothing better then taking a big whiff of a fresh bunch of roses - and you & your potential buyer will also be able to enjoy the view of a beautiful bouquet! Once the celebration of buying a new home or selling your current home wears off, next up is the nuts & bolts of moving. Not as fun, but ultimately once you are settled in, will feel totally worth it—we promise! Changing your address is one of the more annoying tasks in a move. This printable checklist will help you make sure not to miss anything. 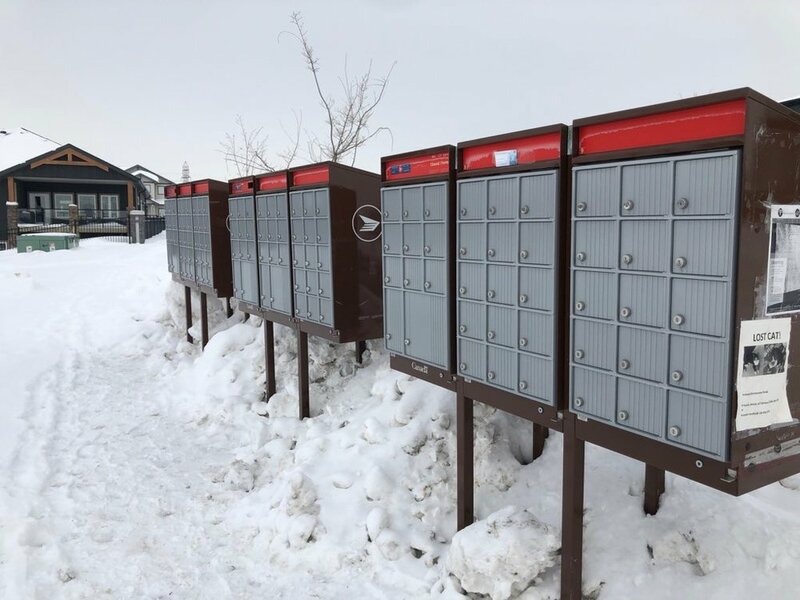  The post office—for about $80 you can have Canada Post automatically forward your mail to your new address for a year (or $55 for 4 months). This is one of the best ways to buy yourself some time with the rest of this list! Arrange this at least a week before your moving day.  Manitoba Hydro--remember to take meter readings at both your old & new house on possession day!  Online shopping companies like Amazon & Indigo — one of the number one reasons we hear from our clients after possession is because they bought something online without checking the shipping address and their new purchase is now enroute to their old address!! Don’t wait until you make a purchase to update your settings — do it now!  Friends and family! In the olden days people used to send out change of address cards. If you have time, this is a lovely custom to revive. If not, a mass email works too. Especially now in the deep dark trenches of winter, I often find myself admiring the plants sitting along the window sills in my home. I find their presence to be inviting, cheerful and of course beautiful. Apart from those more obvious traits, did you know that house plants have many other benefits for you and your home? The first, and most important in my opinion, is that they actually give us oxygen. If you recall from biology 101, when we exhale, we release carbon dioxide. Well, those pretty little plants will actually absorb that carbon dioxide plus release more oxygen - making the air you breathe more oxygen-rich. On top of that, they also purify the air--trapping and retaining toxins. Its like humans and plants are natural partners because of this process. These two wonderful benefits unleash an important domino effect. When the space around you is cleaner, we feel more at ease. People who have plants are reportedly less stressed then those who don't. Additionally, plants are known to boost productivity. According to a study at The Royal College of Agriculture in Cirencester, England, their students showed 70% greater focus when learning in classrooms that had plants in them. Surprisingly, student attendance was also higher in those classrooms! Quite often you'll see plants in work spaces, like offices, for this very reason (which reminds me that I've been meaning to introduce some plants to our office at The Moore Group!). Now, the next question is what plants should you have in your home? The greatest thing about house plants is that there is so much variety. Some are easy to care for, so if you're a beginner you can start with those and work your way up to the more high maintenance plants. According to www.bioadvanced.com/articles/5-benefits-houseplants -- they recommend to place one large plant per every 129 square feet of living space for best air purification results. Having plants does come with additional responsibility. Plants require differing levels of sunlight, heat, humidity and watering. So it's important to do your research and learn about your plants! Once you become more experienced you can be a little more independent, but if its your first foray into plant ownership, Winnipeg is absolutely loaded with outstanding garden centers staffed with knowledgeable and helpful people--I would definitely recommend a visit with the pros at Lacoste, Jensen's, Shelmerdine or St Mary's Nursery. Plants are the perfect addition to any space, and whether the home or the office, they can help brighten even the darkest winter blues! Here we go with some advice for staging your home in winter! 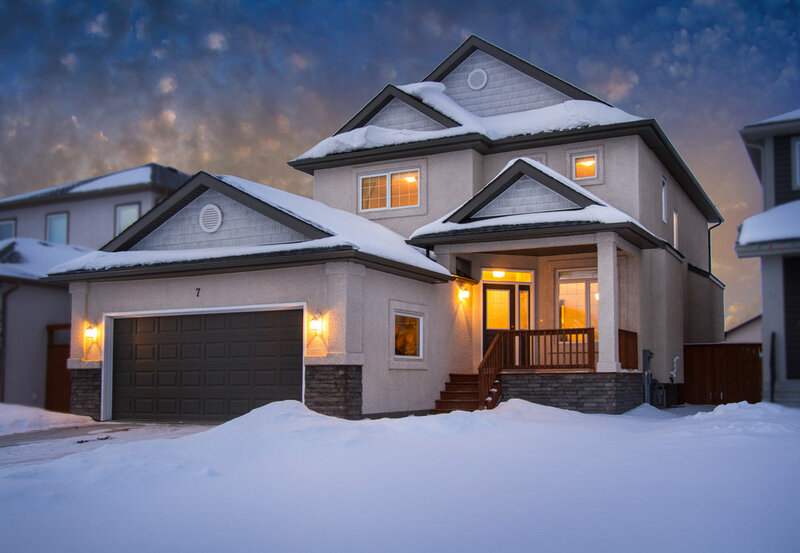 In Winnipeg, the busy “spring” market starts when it’s absolutely still winter outside, so here are my top two tips for selling a home in winter. 1: Stage for the cold, ie focus on making your home feel like a warm & cozy retreat from the cold. Your home should be physically warm—bump up a notch or two on the thermostat, run your gas or electric fireplace for showings, but also decorate to make it seem warm—use cozy blankets liberally through the house, display slippers by the bedside or shower, add fuzzy throw pillows to the couch or bed, or have the fireplace channel playing on your TV. 2: Stage for the dark, ie: add light! Not only should you make sure that every light is on for showings (even during the day), but add as many light sources as possible to every room. Multiple layered sources of light go a long way to making your home bright but also cozy. Don’t forget exterior lights & feel free to add as many there as possible too! Happy selling, Winterpeg! PS this pic was a house we sold in River Park South a few years ago. 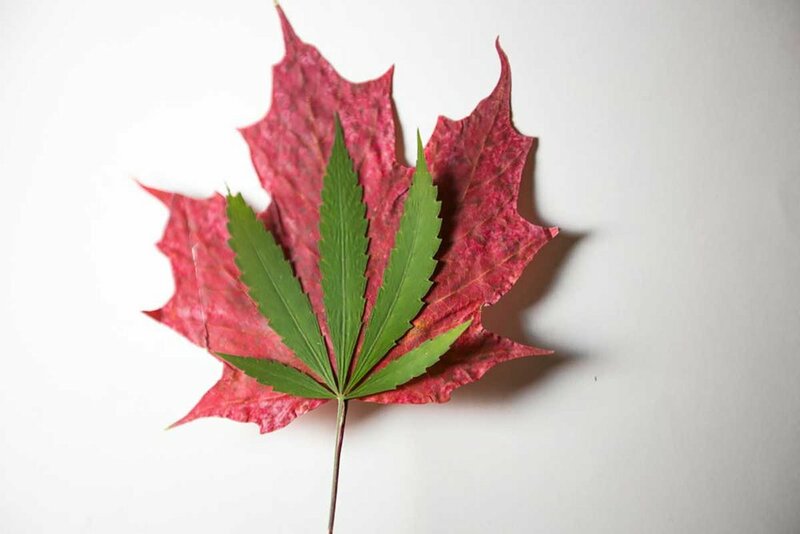 As of October 17/2018 the federal government of Canada has decriminalized cannabis across the country. They have also decriminalized growing up to four plants in your home without consequence. It’s still illegal in Manitoba to grow your own recreational cannabis at home! You may now consume it at home, or any other place deemed legal and acceptable to do so and you are also allowed to carry up to 30 grams on your person, but to grow it yourself in Manitoba is a criminal offence which carries stiff fines and charges, and if convicted, will most likely bar you from entry to the USA. There are also huge implications for the resale value of your home. Whether it was a single plant grown in a closet or an entire houseful used by a criminal element, financing the purchase of a former grow-op is next to impossible—so if your home has been registered as a grow-op, the pool of potential purchasers for your home will shrink to those that can buy it cash, i.e. ; almost nobody. Buyers will also have other concerns— how safe the house is, has it been exposed to hazards, moisture damage, and, even if remediated, will there be some residual impact down the line. All of this will affect your property value in a negative way, even if the house has been bought and sold numerous times. The message is clear in Manitoba—you may consume it as you like but do not grow it yourself at home! Here is Moore Group REALTOR Drew Eagle giving you the low-down on what you need to know about buying a home with a well. The time is now! By the way, if you need help in making this determination – especially figuring out what your home will likely sell for, call today. To this day, the family home I grew up in is one of my favorite places. This 113-year-old beast of a house is overflowing with character and has gorgeous details from floor-to-ceiling. Apart from my appreciation for all things historic and beautiful, this house has helped me develop a deep interest in home maintenance and repair –you can imagine that there is no shortage of that when you live in a home of this age! Growing up, I was always the kid holding the ladder, passing my dad the proper size wrench, taking trips to the hardware store. I wanted to learn, and I found the work to be fun! The best lesson I learned was not only how to properly handle power tools, but how to properly care for an older home. How do you decide which task to tackle first in an older home? Replacing the knob and tube wiring? Raising up the front veranda before it sinks further into the ground? Re-insulating? New windows? The list goes on and on! Here are the four steps that my family and I have used for tackling those home renovations. Step one: make a list. What needs to be done? Having it all laid out in front of you helps you to visualize what there is to complete, and then you can start prioritizing tasks. A good part of this step is to have a home inspection completed by a certified professional. Getting a professional’s opinion is never a bad idea! Step two: think budget. Money is the biggest factor in home renovations. Always remember: the only thing that is guaranteed to happen during a home renovation is that some unforeseen expense WILL come up. Taking the time to sit down and sort out how much money you have to spend (including a contingency budget) will drastically improve the decision-making process. Step three: know your limits. Before you start swinging hammers, make sure you know what you’re doing. Do your research, talk to an expert - whatever it takes. And if you’re not feeling 100% confident, no problem! Better to get some help before you dig beneath the surface. Step four: get to work! Renovations can be grueling, time consuming and can often cause a lot of stress. But if you’re careful, you plan ahead, you make a realistic timeline to follow, and you go into it with a good attitude, it can be a great learning experience, and in my case, create a lot of awesome memories! There were many days my parents were so frustrated with the workload of an older home, and they almost threw in the towel. I’m so grateful they never did, because it’s true what they say - a little hard work always pays off. As we ring in a new year, being in Real Estate and being in love with home design, I just had to look into the 2018 kitchen trend predictions. I’m the type to be curious about what designers claim will be on trend, then watch to see what actually catches on with home owners. Sometimes I'm right and sometimes I'm surprised -- the gold hardware trend has definitely been a shocker for me! If you like to follow home decor trends, then here is the latest on what designers, renovators and homeowners are predicting to be popular in 2018 … and the outcome is interesting!! 1/ Cabinetry colours - No surprise here, the white kitchen will continue to be the most popular cabinetry colour with variations, like 2 toned cabinetry or cream and beige versions coming into play as well. The surprise — blues and greens may be making an appearance in 2018 according to superiorcabinets.ca, not only in backsplash choices but also in cabinetry! 2/ Counters - as expected, designers, renovators and homeowners all feel the Quartz countertop is here to stay. The game changer? Dark counters! elledecor.com claims dark, dramatic counters are the wave of the future, popular because of their dramatic affect. 3/ Backsplash Design - this is a great spot to show your own personal style in your kitchen. When looking into trends, it seems that for backsplashes almost anything goes! Colours, patterns, materials … there’s not much that isn’t on trend. Let’s just hope those coloured fruit and veggie mural tiles don’t return … remember those?!? 4/ Hardware - variations of gold hardware will continue to gain popularity. It seems most people remodeling in 2016/17 were staying away from the trend as it can have a 1980s brass feel that most of us don’t want to be reminded of — but it looks like this trend has caught on! I have to admit, I was not a fan at first, however after remodeling my oldest son's bedroom to his taste, which turned out to be black and white with matte gold accents (he is clearly way ahead of his time), I have become a fan of the matte gold version of decor and hardware. I’m not so bold that I would do this in a kitchen, however, I do like the look of it when done right! Another note on hardware, matte black hardware is being chosen more and more by homeowners …and it will be interesting to follow this trend through 2018. 5/ Appliances - Better Homes and Gardens http://www.bhg.com claims integrated appliances are on a comeback. I myself am getting a touch tired of the constant stainless steel & I feel like there should be more choices!! The trend of integrated appliances takes me back to many years ago when it seemed only wealthy homeowners could actually afford this option. It is a way of blending appliances for a seamless look however it can also come across as somewhat monotone or bland, so I’m not sold on this quite yet. 6/ Style - What I do like about the 2018 cabinetry trends is the style … there’s the growing popularity in the ‘x column’ island feature seen frequently on www.houzz.com and www.pinterest.com and I’ll have to admit, I like this detail. To me, it’s a way to give the kitchen island some subtle style in a more budget-friendly way than using a ‘waterfall edge’ island counter and a subtler style then island corbels. 7/ Colour - Finally, the Pantone Colour of the year is Ultra Violet! I wonder if this colour will make its way into kitchens this year? 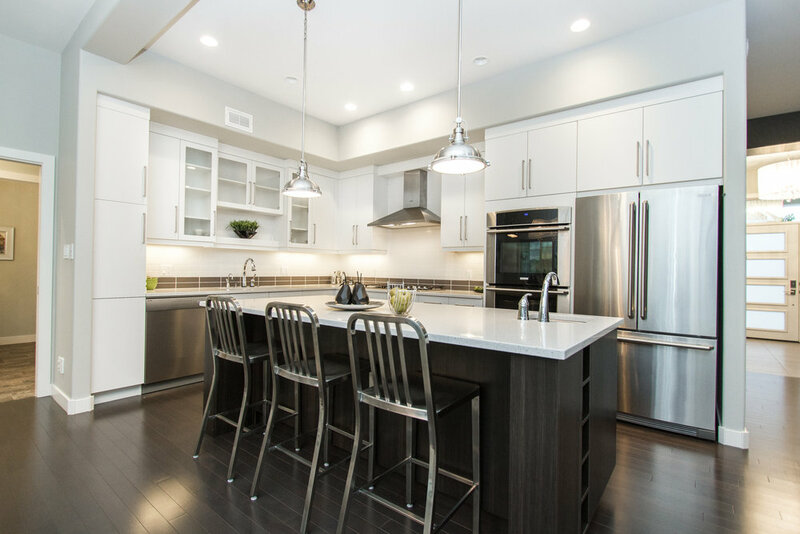 After reviewing the 2018 kitchen trends there is one thing that hasn’t changed: full kitchen renovations are an investment which can have a major impact on the function of your kitchen as well as your home’s resale value. That’s where we come in. If you are considering a renovation of this magnitude, its always worthwhile to get an opinion about the costs & benefits of renovating versus moving versus building a new home, and the ROI on your planned renovations. Here is a wonderful article giving helpful information for your kitchen Reno https://www.jenreviews.com/kitchen-design-ideas/. Getting a pre-approval through a mortgage broker or bank--NOT by an online calculator but by an actual human being that has actually reviewed your actual finances--will save you big time. It will definitely save you time, and may save you some heartache if you fall in love with a home that turns out isn't in your price range. But it will also save you money if you end up competing for a home. Sellers always like offers that are as secure as possible, and will often pick an offer that is for less money if it is more secure. If your financing is already arranged, your offer is more secure than a comparable offer from people that don't have their financing organized, so you will A) be more likely to get the home you want and B) have a good chance of getting it for less money than if your financing was still a question mark. Confused? I believe it. 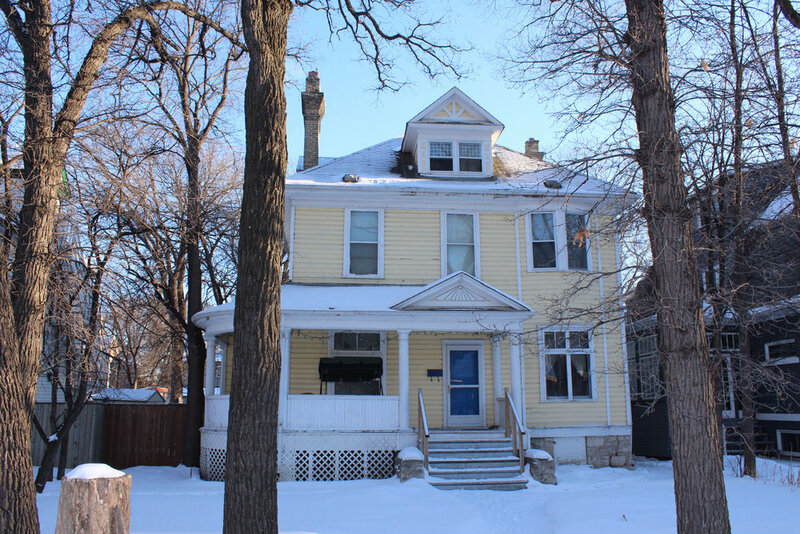 We help people buy homes successfully and strategically all over Winnipeg, and we know all the angles inside and out. We are a ready to help you get a great home, for the best price. Call me today and I will help. Call me if you want to build a new home! I sell a LOT of newish homes that are 3-5 years into their life span, and I can tell you there are some critical decisions you can make in the construction process that will have a HUGE impact on your resale value! If you are building a new home in Winnipeg, you need advice from a realtor that specializes in resale homes. Call me & I will help. Should You Move or Improve? Three Things to Consider! So if you’re considering whether to move or improve, here are some things to consider. Will a renovation truly fix what you don’t like about your property? If you’re craving a cosy fireplace in your living room, new kitchen cabinetry, or major bathroom overhaul, then a renovation could make that happen. But you may only be able to get features like an easier commute, larger kitchen, or simply just more space, by moving. How much will a renovation cost? How does that compare to the cost of moving to a new home? It’s important to get accurate estimates of each so you can make a smart decision. To accurately assess the cost of moving you'll need to make a few phone calls. First, talk to your bank or mortgage broker to find out what your budget on a new home would be, and whether there would be any penalties for breaking your mortgage. Might as well ask what your possible renovation budget would be too, and see what your options for financing that would be. Next, call me for an evaluation of what your current home could sell for, and an estimate on the costs of selling (realtor, land transfer tax, legal). Finally, a call to a moving company should give you the final piece of the puzzle. On the renovation side, you'll first need a clear idea of what you would want to accomplish with the renovation. I can then recommend a few good contractors, and the next step is to get a couple of quotes. Keep in mind that renovation costs do have a habit if ticking upwards as hard-to-resist upgrade options or unforeseen hurdles come up throughout the construction process. So be sure to build some flexibility into the budget as well. A very important estimate that you must also get is how long the renovation will take, whether you will need temporary housing during the process, and if so, what to budget for that. Unless your budget is unlimited, be prepared to make some compromises, no matter which decision you make. That’s normal. Only you can know which compromises are the easiest to make. Exciting news on the horizon! Big changes coming soon....stay tuned!